Diwuer wireless wifi video projector delivers high quality pictures. This is a high resolution LCD projector with 1200 Lumens brightness. The supported resolution is full HD 1080p/720p and the native resolution is 800 x 480p. It has 16:9 aspect ratio that gives you picture from 2 to 4 meter. This latest Diwuer wireless projector has multiple interfaces for universal devices. You will be able to connect to PC, laptops, television set-top box, DVD players, gaming consoles and many other devices. Amazingly, Diwuer wifi video projector has integrated speaker with a 3.5 mm headphone jack that lets you use earbuds, or connect to a larger sound system. 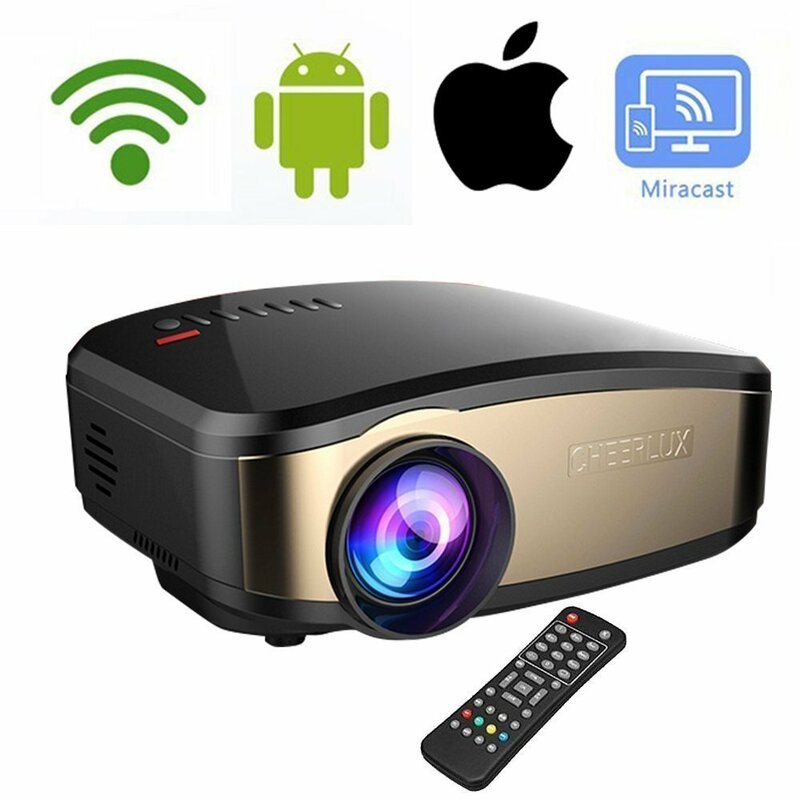 You can say it is a portable mini projector that has ultra-lightweight profile so that you can easily move it to your desired room or even you can put in a backpack. So this is the best suited video projector for travelers and outdoor party. You will surely enjoy movies and games with your friends and family.